A private investigator is dedicated to a search for truth and the furtherance of his client's interest consistent therewith. This search for truth makes possible the establishment of the American ideals of fairness and justice for the benefit of the client in every case that the investigator works on. It should be the intention of every investigator to deal honestly, justly, and courteously with all persons and to practice his profession according to this Code of Ethics. The Private Investigator will extend the effectiveness of his profession by cooperating with other investigators and related professions, and by the exchange of information and experience so long as the interests of his clients or employers are not violated. HE/SHE will not advertise his work, skill, or merit in an unprofessional manner or in dramatic, misleading, or exaggerated fashion, and he will avoid all conduct or practice likely to discredit or do injury to the dignity and honor of his profession. The Private Investigator will, when the appropriate opportunity presents itself, explain to the public, the role of his profession in the furtherance of the administration of justice. HE/SHE will not knowingly violate any right or privilege of any individual citizen which may be guaranteed or provided by the United States Constitution, any State constitution, or the laws of the State and Federal Governments or any subdivision thereof. HE/SHE will make all his reporting based upon truth and fact. He/She will not disclose or relate or betray in any fashion that trust of confidence placed in him by either client, employer, or associate, without that person's consent. He/She will not suggest, condone, or participate in any fashion or degree, for any purpose whatsoever, in entrapment. HE/SHE shall refrain from accepting an assignment or employment if a personal conflict of interest lies therein. He/She will deal fairly and equitably with his client or employer, and will clearly explain his duties and the basis for his charges in each case. HE/SHE will guard against employing those techniques, or utilizing such equipment or devices that may threaten the life or safety of another. HE/SHE will not allow personal feelings or prejudices to interfere with factual and truthful disclosures on the assignments in which he/she has been employed or consulted. 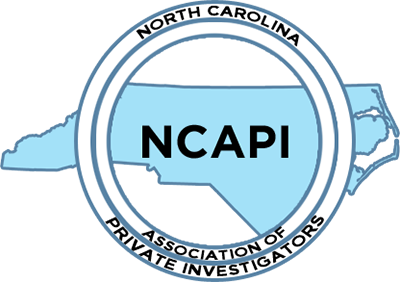 HE/SHE will endeavor to provide the opportunity, education, and skill for the professional development and advancement of investigators in the profession. HE/SHE will not directly or indirectly injure the professional reputation, prospects, or practice of another investigator. If he/she considers that an investigator is guilty of unethical, illegal, or unfair practice or designs, he/she will present the information to the proper authority for action. HE/SHE will uphold, and never abuse, the principle of appropriate and adequate compensation for those engaged in investigative work. He/She will not criticize another investigator's work except in the proper forum for technical discussion and criticism. HE/SHE will not compete illegally with other investigators in the solicitation of work and not engage in the unauthorized practice of law.